There are just two days left to get this fabulous Birthday Cards kit! It ships right to your door! It includes 10 cards and at least $20.00 in product to make your cards. Look at these bright, happy cards! The How Sweet It Is suite of products is eye catching and colorful. This set of cards is perfect for both local and long distance stampers. It's $35 for long distance customers (includes priority shipping) and $28 for local customers. Order by Friday to get your kit! The ink colors I used are Melon Mambo, Gorgeous Grape and Coastal Cabana. 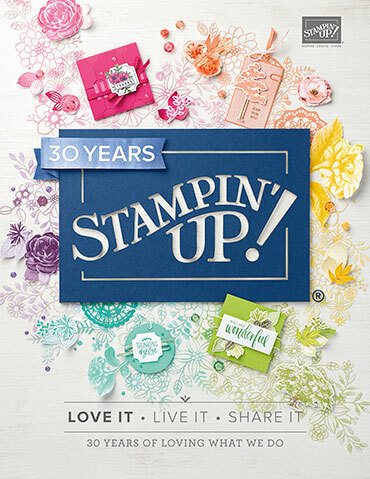 This kit does not include stamped images per Stampin' Up! policy. I used the Birthday Cheer stamp set on my cards, but you can substitute any set you have on hand. You can add on the Birthday Cheer stamp set at a 10% discount if you'd like to. Just email me at lagreff@gmail.com and I'll send you a PayPal invoice. Click on the subscribe button below to get this month's kit. You are subscribing to my monthly kits but you can cancel at any time before the 19th of the month. Kits are mailed out at the end of each month. **Order by April 19th! Click on the subscribe button below. Each Tuesday at 11 am CT I share a few projects on Facebook Live. This week I featured an easy fun fold card that was new to me. At least the way you add the Designer Paper is new and super easy! I used the Around the Corner and Treat Time stamp sets on this card. Treat time is retiring. See the entire AC 18-19 Retiring List_US here. On the above cards I chose the Happiness Blooms designer paper from the Occasions catalog along with the Bitty Blossoms punch pack. These flower punches are so adorable and match some of the flowers in the DSP perfectly! Night of Navy and Call Me Clover are the colors I used. See this suite of products here. The other project I made in yesterday's Facebook Live video is this cute Pinwheel box inspired by my friend Dawn Griffith. It's made from a 6" square of designer paper; In Color designer paper in this case. I am using some of my favorite retiring 2017-19 colors as much as I can! I hope you can watch the video below. I also share a few sneak peaks of items I received at Minneapolis OnStage this weekend. ***Get 6 free Fun Fold cards in a pre-cut kit with a minimum $65 online order in April. Or get the written tutorial free with any $35 order. The Last Chance List is out! ***Remember that most of these items are 'While Supplies Last'!!! However Stampin' Up! says the stamp sets should be available through May 24th! Shop here or browse the actual products online. I was pretty excited to have the Cake Builder punch back in stock this month. It's such a cute stamp set and punch! I had fun creating six fun cards with this bundle for a kit to go! It includes the stamp and punch bundle in the kit. When you purchase this bundle through me in the link below you'll receive both the pre-cut cards kit and cards gift box FREE. Here's the link where you can purchase this bundle & class kit on my newsletter here. ***Be sure to order this class kit by April 23rd!!! It's one of the projects at my Spring Fling project day on May 4th. That event is Saturday at 1st Lutheran Church in Minot. Spend the day with us making your choice of 4 projects that day! Be sure to RSVP with pre-payment to attend. You can see three of the classes available on my newsletter here. I'll share one more tomorrow! Don't miss out on this awesome cards kit! It ships to your door each month! It includes 10 cards and at least $20.00 in product to make your cards. 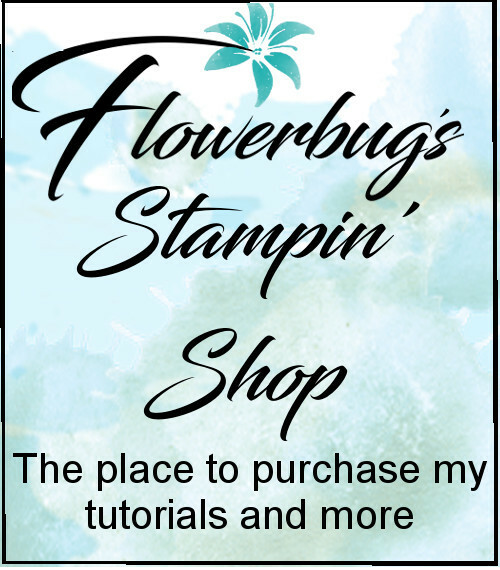 Each month I put together a group of coordinating Stampin' Up! products and create a set of cards featuring that product. This month I chose the How Sweet It Is designer paper along with a bunch of fun matching items. Look at these fabulous cards! They're fun, bright and happy Birthday cards this time! The How Sweet It Is suite of products is fabulous and colorful. Birthday cards are some of the most popular and fun cards to make. This set of cards is actually a kit to go; for both locals and long distance stampers. It's $35 for long distance customers (includes priority shipping) and $28 for local customers. Click on the subscribe button below to get this month's kit. You are subscribing to my monthly kits but you can cancel at any time before the 18th of the month. Kits are mailed out at the end of each month. Have a great weekend! I'll be in Minneapolis at OnStage! I cannot wait to be there with my team! I'll share photos soon! I love this card fold! The left side of the flap is adhered down. But wait! You can make it a gift card holder too! Normally you'd just adhere the left flap down flat. But for a gift card, adhere the outside and lower edges to the card back and wallah! You have a spot to slide in a gift card! I used the Birthday Cheer stamp set here in Black, Red and White. This black gingham paper is the retired Botanical Butterfly SAB paper. Turning one of the squares at an angle sure adds a bit of fun to the card! How do you make this card? Cut a card base at 5 1/2" X 8 1/2" and score it at 4 1/4". Now use your paper trimmer to cut up at 1 1/2 inches to the score line. This card is one of my Fun Fold cards featured in my free Fun Fold cards kit this month. Everyone who places an order over $65 using this hostess code will receive this pre-cut cards kit. It includes all pre-cut pieces, the pdf tutorial and ribbons/twine but not the jewels or stamped images. I used the Butterfly Gala bundle on my cards but you can substitute any stamp set you have. These cute little critters in the Fable Friends stamp set are totally adorable! Look at them! See?! Until I started playing with this set I had no idea I'd like it so much. The images are finely detailed giving them movement and certainly making it easy to color. I decided to create two different cards using the same layout; one horizontal and one vertical. I trimmed off 1 1/2" from the edge of my 5 1/2" X 8 1/2" white card base. This layout is simple and gives you a lot of opportunities at the same time. One option is to add your designer paper to the inside outer edge so it peeks through on the front. I didn't choose that one on these cards but it is a favorite. See a card like that one here. This is Highland Heather with the Gingham Gala designer paper. I colored the sweet bunny in with Blends markers; my favorite coloring medium! This card also features Highland Heather with Daffodil Delight and Granny Apple Green too. I colored the images in with Blends markers. The purple strip is embossed with the Basket Weave embossing folder. Products used are listed below. If you do not see them please click on the title of this blog post and you'll see everything.